You spent all that time and energy on it. Now what? You keep checking, constantly refreshing the site like a person waiting for concert tickets or a pair of Jordans to go on sale. You’ve been through this before so you know it doesn’t work the same way. Sales are tallied up in bundles, not every single moment, so hitting refresh every five seconds is an exercise in futility. Still, you keep checking over and over, but the numbers don’t move. How is this possible? Clearly, very few people agreed because, well, it didn’t exactly do Harry Potter numbers. Don’t get me wrong. I’m not naïve. This is my seventh time going through this process of self-publishing a book, so it’s not like I wasn’t prepared. I know the figures. 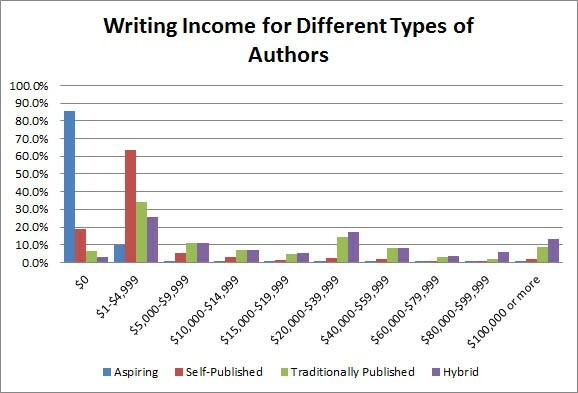 I know that “the average U.S. book is now selling less than 250 copies per year and less than 3,000 copies over its lifetime” and that over 60% of self-published authors make less than five thousand dollars per year from their writing. So it’s not like I expected to outsell King or Grisham or Patterson, but I did anticipate a little bit of a pop, particularly since (a) I continue to sell a few copies of the other books here and there each month, (b) general fiction is the most popular type of book, and (c) my readership has only grown in recent years, thanks to social media, my previous books, and my contributions to both I Hate JJ Redick and Medium, especially Cuepoint. 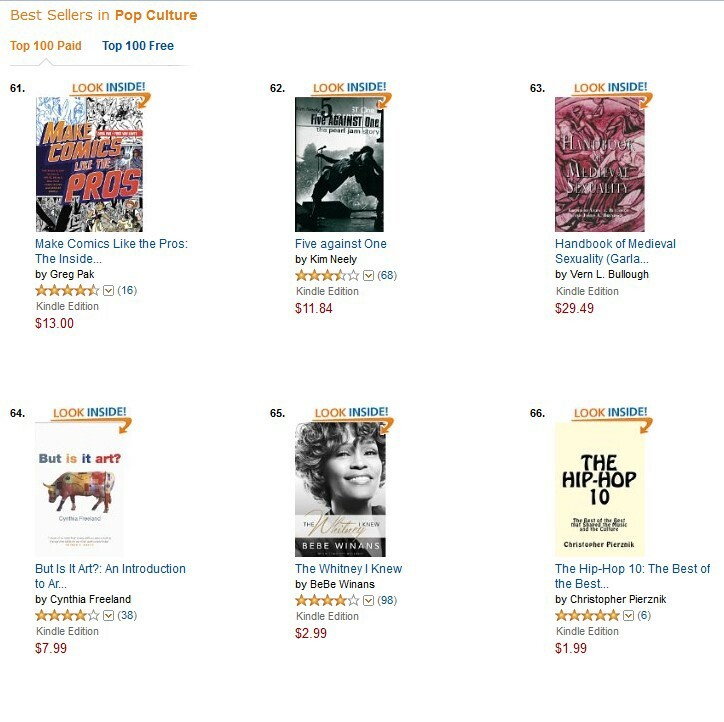 My first book is still far and away my most successful, still popping up in the Top 100 within the Pop Culture category or the Top 20 within the Hip-Hop category on Amazon nearly three years after its release. Of course, there are reasons I could point to as a way of explaining this. It was about hip-hop, which has always been my most popular form of writing. Also, it was a series of rankings of the greats in hip-hop, so it deconstructs many fans’ favorite artists and albums. Moreover, it benefited from getting favorable reviews and mentions from well-known people within the culture like Byron Crawford and Treach from Naughty By Nature. Still, it’s a bit deflating. I now know how those musicians and filmmakers (and authors) feel when their first offering is their most popular. I’ve seen and read countless interviews where the questioner asks how the new project compares to the first and the artist always deflects or says that this new project is the best work of his or her career. Like everyone else, I always dismissed them. You spend days and nights and months and sometimes even years working on something, creating it, crafting it, changing it, tweaking it, improving it, editing it, proofing it, molding it, shaping it until it is the final product that you had dreamed of at the beginning. You format it (and reformat it) so that it looks perfect on the page. Then, you format it (and reformat it) all over again for Kindle. You compare colors and fonts for the cover and search for the perfect photo. You write a description for the back cover and another for the Amazon page. You nurture and protect and perfect it until it’s finally ready to go out into the world. This is your baby. But — and this is the rub with pursuing your passion in the arts — you spend all that time and energy (and maybe even money) on a project, one that you know is strong and people will respond to, and it dies as it’s coming out of the starting gate. It’s still perfect, just as you envisioned it, but no one cares. From the outside, it appears as if nothing changes for me. I still have the same day job and same house and same car. I don’t move tax brackets or have to sell a vacation home. I don’t need to pay back a publisher’s advance or have to endure a beating in the press. Then, I always say to myself, no more. I quit. I don’t need this. My life won’t change one iota if I never write another book or essay or guest blog. I’ll have more time to focus on myself and my family and my actual career. I can turn my home office into a room that other people can actually use as well. I feel this way for a few days, secure in the knowledge that it’s over, that this time I’m really done. I’ll have my seven books, stacked and displayed for posterity, and I’ll go pick up a real hobby like golf or fishing. Then I have an idea, then another, then another, and soon they’re stacked on top of one another in my mind, to the point that I have to begin writing them down to organize them and make sense of them. Before long, I’m in front of the laptop, ideas flowing and fingers flying as I create something new. This one will be different. This one will appeal to everyone because it is undoubtedly the best thing I’ve ever written. The cycle continues. Because while you want your stuff to be read and enjoyed and appreciated (and monetized), that’s not the reason you first started. The first time you put pen to paper or finger to keyboard, it wasn’t to crack the bestseller list. It was because you had a passion and a feeling and you wanted to express it through the written word and you didn’t care if anyone read it, because you weren’t doing it for them, you were doing it for you. In a weird way, this entire process makes you realize that again because you don’t have to write, there’s no reason to, yet you’re back at it once again. Christopher Pierznik’s nine books are available in paperback and Kindle. His work has appeared on XXL, Cuepoint, Business Insider, The Cauldron, Fatherly, Hip Hop Golden Age, and many more. Subscribe to his monthly newsletter or follow him on Facebook or Twitter.